Great anchor tenant with a long-term lease. Two insulated wired industrial/office metal buildings separated by a yard and driveway area on 1.66 acres of land. Buildings do not front on Ridgecrest Blvd but are accessible by a driveway that fronts on Ridgecrest Blvd. There is approximately an extra half acre of land at the rear of the property that fronts on California Street that can be subdivided and sold separately. Perfect for an owner who needs space but also seeking rental income. 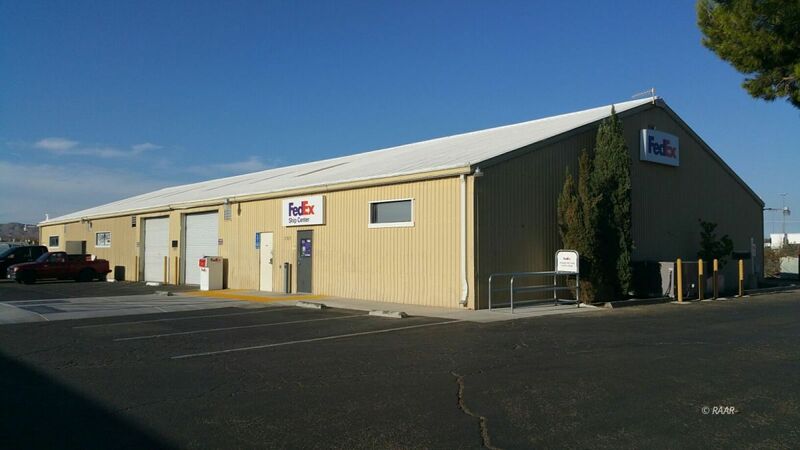 The building has been home to Fed Ex for several years. Due to China Lakes Naval Weapons Station, employment and population in the area are increasing. Great business opportunities! The total population of the city of Ridgecrest is expected to increase significantly over the next 5 to 10 years. 7,000 sq ft available to rent at .60 cents/ sq ft.